Oh that means a Democrat must be involved! Yes folks, it’s true, the attack on Goldman Sachs is probably politically motivated. I know that comes as a shocker. The Democrats are hard at work trying to prosecute Goldman Sachs for all their crimes. From the 2008 election cycle. Source: The Blue Pages from the Center for Responsive Politics at OpenSecrets.org. Mo GOP launches new TEXT MESSAGING program. 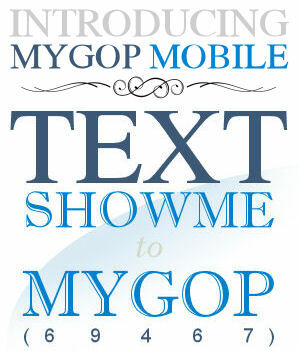 Missouri Republican Party recently launched a new text messaging program called MYGOP MOBILE. To join, please text SHOWME to MYGOP (69467). Molly Teichman will speak to the Lafayette County Federated Republican Women's Club on social media in politics Thursday, April 22 at 7 p.m. 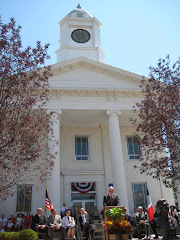 The meeting will be held at Lafayette Hall, 9th and Franklin, in Lexington. Guests are welcome and refreshments are served. 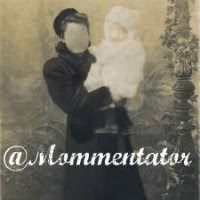 Molly is active in social media networking through her Mom TV show, "Political Mommentary". View her show here. Molly describes her show as bringing the "Right" on political commentary, bringing the conservative view, encouraging you to assert your own brand of logic, building the world you wish to leave. Right on!! You can find Molly lots of ways through social media networking: follow Molly on Twitter @Mommentator and become a fan on Facebook, facebook.com/Political Mommentary. And you can visit her blog at Political Mommentary. She was also an official blogger for CPAC 2010 and is a commentator on internet radio shows including Smart Girl Nation. Overstepping bounds: Lawmakers on both sides of aisle say Gov. Nixon's recent decision to ignore a section of bill is an "unprecedented power grab"
From the Springfield News Leader: Jefferson City -- "Gov. 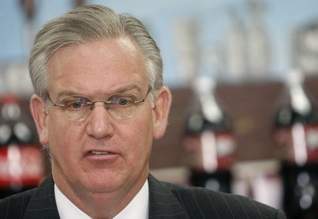 Jay Nixon delivered a swift verdict when presented with a recent budget bill by legislators. He signed it into law, then he immediately judged a section on school funding to be unconstitutional and declared he would not follow it. Nixon's action appears to be unprecedented among recent Missouri governors.."
The story continues: " "It rocks the very nature of our foundation of a state, and I don't think I'm speaking in hyperbole," said Sen. Jason Crowell, R-Cape Girardeau. That foundation to which Crowell refers is the constitutional separation of powers among the three branches of government. It is a basic principle of American civics that the legislative branch makes laws, the executive branch enforces laws and the judicial branch interprets laws. "We now have a governor who thinks he's the judiciary as well," Crowell said."